Chenrezig represents the compassion of the Buddha. 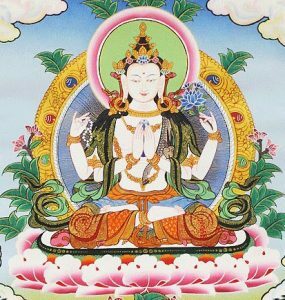 This Jenang gives blessing to say the mantra of Chenrezig and to develop love and compassion. There is no ongoing meditation commitment with this Jenang.